Membership in the American First Day Cover Society is a privilege extended to any person of good character who is interested in first day covers. Membership continues unless the Board of Directors determines that the conduct of a member has been such that, in the best interest of the society, membership should be suspended or terminated. This Code of Ethics provides guidance on the desired conduct of AFDCS members. I agree to support and be governed by the Bylaws of the American First Day Cover Society and any other amendments, resolutions, and policies that may be established by the Society. I agree to conduct myself in a manner that wil not bring reproach or discredit to the AFDCS, and will not unjustly harm the prestige of other members or philately. I agree to conduct myself honorably in accordance with accepted standards of morality and courtesy in philatelic activities not specifically cited in the code. I agree to oppose all acts of irresponsible and unethical conduct performed by AFDCS members. I agree not to buy or sell first day covers or other philatelic items of which the ownership is questionable, and to promptly report reliable information on suspected stolen material to appropriate law enforcement agencies. I agree not knowingly to sell, trade, produce, or advertise repaired, altered, or otherwise modified philatelic items unless that condition is clearly stated. I understand that an "add-on" cachet is a modification and should be clearly identified as such. I further agree not to sell, produce or advertise, with intent to deceive, counterfeit material in any form, in violation of any law. I understand that if I clearly label such items as damaged, bogus or counterfeit, my transaction is acceptable. I agree to report known violations of laws concerning philatelic matters to appropriate law enforcement agencies, and to cooperate in the prosecution of such violations. I agree to read and be bound by the "terms of sale" conditions before submitting an auction bid or placing a philatelic order. I agree to honor all contracts made by me, either orally or in writing or on computer networks, to promptly make payment upon delivery or delivery upon payment, and to promptly return any item that is not satisfactory. I agree that substitution of covers or stamps in circuits, approval selections, auction lots, etc. is dishonest and is cause for expulsion. I agree not to participate in any advertisement, sale or trade activities I know to be deceptive, whether they are presented in print or electronic media. Such deceptive practices may include (but are not limited to) false or misleading claims of: sales, scarcity, value, condition or investment potential. Requests for extension of time to return purchased material while awaiting expert opinion must be in writing. Waiting for expert opinion is not an acceptable reason to delay payment for the purchased item unless agreed otherwise. The buyer shall inform the seller immediately after receipt of any expert opinion. If the material in question is other than as offered or described by the seller, the seller must make a prompt refund upon return of the material. Unless another agreement exists, the seller shall bear reasonable costs for obtaining the opinion if it says the material is other than offered or described. When exhibiting, I agree to display only material from my own collection or else to state the name of the owner of any material not belonging to me. I agree that any dispute concerning philatelic transactions in which I participated may go to arbitration for settlement, if the other parties involved also agree. I acknowledge that if the Board of Directors finds me guilty of unethical or unlawful conduct, the record thereof may be disclosed to other philatelic societies of which I am a member. Every member is bound to adhere to the Code of Ethics. A breach of ethics by any member reflects negatively upon all other members and is harmful to the welfare of the society. Such a breach is cause for disciplinary action by the AFDCS Board of Directors. Examples of disciplinary actions include but are not limited to suspension, expulsion, probation, reprimand, and refusal of advertising. 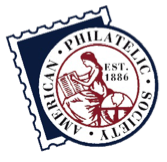 If you become involved in a philatelic dispute against another member of the AFDCS, you may write to the Complaints and Ethics Committee Chairman who will investigate or serve as mediator on the case and process the case in accordance with the AFDCS Bylaws.